There’s a lot more to indoor air quality than the dreaded “Mold”. Unfortunately many mold inspectors are selling Indoor Air Quality Testing with nothing more than the collection of air samples for mold which IS NOT an indoor air quality assessment or indoor air quality test. It is just what it is the collection of air samples for mold. It isn’t even a full mold assessment. If you’re interested in the assessment of your indoor environment for anything that may be compromising your indoor air quality, then you need an Indoor Air Quality Professional, You need Indoor Air Quality Solutions, IAQS. If you want a “Mold Inspection” Hire only Florida Licensed and Insured Mold Assessors. If you want an “Indoor Air Quality Assessment” Hire only Council Certified Indoor Environmental Consultants CIEC’s. As CIEC’s, all Florida Indoor Air Quality Solutions Consultants have earned the most respected certification in the field of indoor environmental consulting. The CIEC Certification is based on training and field experience in building sciences, industrial hygiene and indoor environmental risk assessment. The certification documents the Indoor Environmental Consultants skills and knowledge regarding design, construction and operation of buildings with respect to the quality and efficiency of the indoor environment in a manner that could be relied upon by individuals and organizations seeking Florida Indoor Air Quality Solutions services as a consultant or advisor for the assessment and management of their indoor environments. Finding and identifying the cause and origin of an unhealthy indoor environment involves the knowledge and experience Florida Indoor Air Quality Solutions has in building sciences, industrial hygiene and indoor environmental risk assessment. Identifying an unhealthy indoor environment is not why clients hire Florida Indoor Air Quality Solutions CIEC’s. They hire Florida Indoor Air Quality Solutions CIEC’s to determine the Cause and Origin of the unhealthy indoor environmental and provide a specific scope of work designed to return their indoor environment to a Healthy Indoor Environment. What is a Professional and Informative Indoor Environmental (IEQ) or Indoor Air Quality (IAQ) Report? Is there an Indoor Environmental or Indoor Air Quality Concern in your home or office? Where is the problem source? What containment and cleaning are needed? What home or office repairs are needed to prevent future problems? How will we assure that the field investigation work is properly done? How will we assure that the mold test lab work was actually collected by an expert? An indoor air quality test laboratory report can produce a lot of information but it does not answer any of those questions. A Professional Certified Indoor Environmental Consultant should have the ability to do much more than hit the on switch of the air sampling pump and hand the client a lab report. Are Air Quality Lab Reports Useful Without a Home or office Investigation? An Air Quality Report from the laboratory which simply offers some counts or numbers or culture results is not a good value. Not when the mold inspector was supposed to have performed a "Indoor Air Quality Inspection" for all Indoor Air Quality Concerns in the home or office, but did not perform a thorough visual inspection of the home or office. A superficial air test for mold spores risks leaving the client with ambiguous results, or even if the test suggests that a problem with mold is present, the client has no idea where the problem is, if any, and what to do about it. In many cases the air samples for mold spores come back with no elevations but the Client continues to have symptoms. The mold inspector that only collected air-o-cell spore trap samples and nothing else can provide no professional guidance at all. Is Indoor Environmental Sampling Necessary? If Sampling is necessary Why? Which Type of Sampling is Recommended? If there is a mold, allergen, asthma trigger, or similar environmental problem in the home or office? If there is a problem, where is it and how big is it? What does the lab work indicate about the level of risk to occupants or workers? Are we looking at a "cosmetic-only" concern? based on the lab results, what is the level of containment and care needed? after the cleanup has been completed, was it proper and complete? In other words, in exchange for being paid a substantial professional fee to investigate a home or office, an Certified Indoor Environmental Consultant (CIEC) should provide accurate and useful diagnostic and prescriptive information to his or her client, and should include not only an identification of problematic Indoor Environmental Concerns, but an indication of where the problem is, how big it is, and what work is needed to remove the contaminant and return the home or office to a healthy indoor environment. An Ethical Indoor Environmental Consultant should interview the client carefully before the inspection to assist in deciding if such a costly Indoor Environmental Assessment and Testing process is really appropriate and cost-justified. Pest-Free: Recent studies show a causal relationship between exposure to mice and cockroaches and asthma episodes in children; yet inappropriate treatment for pest infestations can exacerbate health problems, since pesticide residues in homes pose risks for neurological damage and cancer. Contaminant-Free: Chemical exposures include lead, radon, pesticides, volatile organic compounds, and environmental tobacco smoke. Exposures to asbestos particles, radon gas, carbon monoxide, and second-hand tobacco smoke are far higher indoors than outside. Ventilated: Studies show that increasing the fresh air supply in a home improves respiratory health. Maintained: Poorly-maintained homes are at risk for moisture and pest problems. Deteriorated lead-based paint in older housing is the primary cause of lead poisoning, which affects some 240,000 U.S. children. A Professional Indoor Environmental Assessment is much more than the collection of samples. Unless the sample collection was combined with an Expert Indoor Environmental Assessment of the home or office, no one can be certain of the extent of any indoor air contaminant or other particle contamination in a home or office. Similarly, without an Expert Indoor Environmental Assessment one cannot determine if a sample accurately represents all of the indoor environmental contaminants or indoor air quality contaminants present in the home or office. A competent Indoor Environmental Assessment Report should identify, right up front, what is important and what needs to be done. It should support these opinions with competent detail and professional, reliable lab work. We provide an Indoor Environmental Assessment Report that will indentify the indoor environmental Concerns within your home or office and provide you with the guidance to take specific corrective action to quickly improve your indoor environment and indoor air quality. Our Clients are always welcome to call to discuss our findings and to ask for further explanation or guidance without incurring additional cost. ACGIH: Bioaerosols: Assessment and Control, Janet Macher, Ed., American Conference of Governmental Industrial Hygienists, Cincinnati, ON (1999). 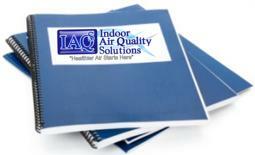 Whats In Your IEQ or IAQ Report?? ?